A losing position and traffic can trigger panic, it is recommended to understand the situation and handle it with proper diagnosis. There are various factors which might have affected the website and for each factor, there is a specific way to tackle it. In such situation, the toughest aspect is to get to the root cause. 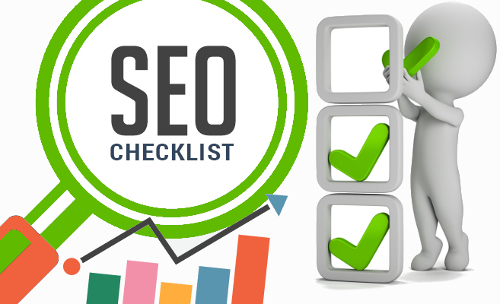 We have created a comprehensive checklist for Search Engine Optimization community to learn how to diagnose and overcome the loss of SEO keyword ranking or organic traffic. It is highly recommended to focus on the basic technical fundamentals of the website like proper indexing and site crawling. Even a high-performing website can face a sudden drop due to no index tags, inappropriate canonical tags or rendering issues with the website content. Keep a list of on-page fundamentals and check each element once a while to avoid any adverse impact. The emergence of a new link can sometimes trigger a sudden drop in ranking. Such temporary decline in ranking should be tackled properly. If a website has the better domain authority, then the impact of new links may not be negative. Whereas, if your website has a past record of using unnatural links or has a track record of getting a notification for any inappropriate usage of links, content then Google might penalize such website for the time being. Such activity is known as Rank Transition Function which eliminates the links which may have a risk to influence the search results. Experts around the world suggest using backlink tools to verify the new links and observe if there has an unusual trend, which might have triggered the sudden fall. Losing backlinks can also cause the temporary drop and impact the domain authority of the website. Verify regularly if there is any issue related to temporarily unavailable or removed backlinks. Change in redirection or modification of permanent redirects may adversely affect the keyword ranking search result. It is vital to check the history of changes and redirects and if they are working fine or not. Since negligence can affect the performance, such website redirection should be checked after a regular interval of time. 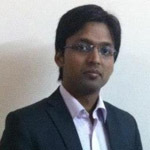 Server related problems which trigger a drop in website ranking is tough to find. At times empty markup is served to Google-bot as a result of the broken caching issue, which affect the ranking and sudden drop is evident. Check the server log errors regularly to avoid any such occurrence. How often you check the algorithm updates, ranking drop issues may be directly related to the algorithm changes. Google algorithm changes should be monitored with the proper understanding of the impacts. In addition to these checklist changes in a website should be well communicated to the internal teams, especially with marketing, so that they can monitor the changes closely. Sometimes Google search results show the user with the different pattern of result such changes in search behavior can show a little fluctuation on keyword ranking. If you come to know the exact cause of drop you can easily fix the issue by following the ethical process to gain the top ranking once again.